Werkheiser Jewelers Ltd. | Werkheiser Jewelers Ltd.
Home / Werkheiser Jewelers Ltd.
18 January 2019 January 18, 2019 Werkheiser Jewelers Ltd.
Garnet is the birthstone for January. Garnet is so durable, remnants of Garnet jewelry can be found as far back as the Bronze Age. Other references go back to 3100 BC when the Egyptians used Garnet as inlays in their jewelry and carvings. This beautiful stone is mined in a rainbow of colors. Rare Garnets in green or blue make breathtaking pieces, especially in pendants or drop earrings. From the fiery orange of Mandarin Garnet to the rich green of Tsavorite Garnet and to the most widely recognized deep red color of Pyrope Garnet, it is considered a great gift to symbolize friendship and trust. In addition, legend has it that those who wear the Garnet will be bestowed with peace, prosperity and good health. 27 October 2018 October 27, 2018 Werkheiser Jewelers Ltd.
12 October 2018 October 12, 2018 Werkheiser Jewelers Ltd.
People born in October are lucky – they are gifted with two birthstones – Opals and Tourmalines. Opals have been considered bringers of good luck since the Middle Ages! Opal hues can range across the spectrum; an Opal might display a single color, two or three colors, or all the colors of the rainbow! 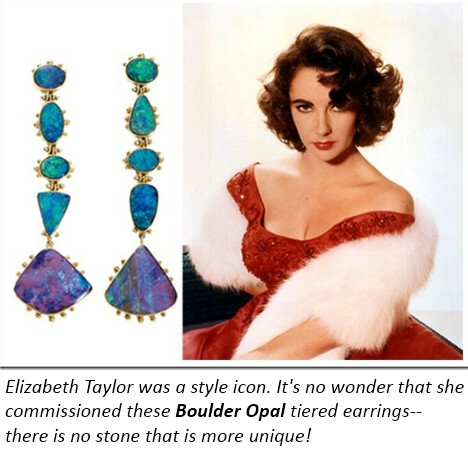 Black Opal is said to strengthen your character and considered to be the rarest of all the Opals. Tourmaline is the most colorful of all gemstones, occurring in various shades of virtually every hue even watermelon, which is green on the outside and pink on the inside. Blue, green, and red Tourmaline (also called Rubellite) are the most popular types used in gemstone jewelry. Tourmalines are also believed to be useful in relaxing the body and the mind, and to help in the treatment of many different diseases such as anxiety, blood poisoning, arthritis, and heart disease. 16 August 2018 August 16, 2018 Werkheiser Jewelers Ltd.
Peridot (pronounced pair-uh-doe) was mined by the ancient Egyptians. They believed, quite accurately, that Peridot was ejected to Earth by a sun’s explosion and carries its healing power. Peridot extraterrestrial origins, found in rare pallasite meteorites, were formed some 4.5 billion years ago. On Earth, Peridot is formed in molten rock and brought to the surface by the tremendous forces of earthquakes and volcanoes. Peridot is one of the few gemstones that occur in only one color: an olive-green. Werkheiser Jewelers has a wide selection of earrings, rings and necklaces in beautiful Peridot. Come in today and you too may feel the negativity lifting away and being replaced by calm from this ancient gem. 9 June 2018 June 9, 2018 Werkheiser Jewelers Ltd.
Pearls have been highly valued as gemstones since antiquity. Unlike most other gemstones which are mineral, Pearls are organic and are formed by living organisms. For centuries, Pearls have been a symbol of beauty and purity. Today, they are regarded as both classic and contemporary, coming in many more fashionable styles than your grandmother’s traditional strand of Pearls. 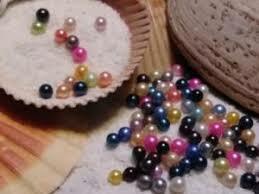 Did you know that while the most common color is white, Pearls naturally occur in nearly every color under the rainbow. Come to Werkheiser Jewelers and indulge in a magnificent range of gorgeous pearl earrings, necklaces and rings – the staple of every jewelry collection. Need your Pearl necklace restrung? Bring it to us. We have a Pearl expert on site. 10 May 2018 May 10, 2018 Werkheiser Jewelers Ltd.
14 March 2018 March 14, 2018 Werkheiser Jewelers Ltd. Starting next week, stop back and see the exciting offers and promotions we will be offering in store. Or come in any time to visit us! 4 December 2017 December 4, 2017 Werkheiser Jewelers Ltd.
Werkheiser Jewelers is operating with extended holiday hours during the month of December. Check the schedule below for store hours in this time period or give us a call at 610-865-8039 for more information. 19 October 2016 October 19, 2016 Werkheiser Jewelers Ltd.
We’re Having a Trunk Show! October 20th through October 22nd. We’ve acquired a collection of fun and fine jewelry that we would like to share with you! Starting at just $5 – Come in to view pre-owned jewelry from well-known department stores for just a fraction of the original retail price. Shop early for the best selection! Additional savings throughout the store. Save 20% off all Estate Jewelry. 9 June 2016 June 11, 2016 Werkheiser Jewelers Ltd.
businesses, website publishers, and non-profits nationwide in 2015.